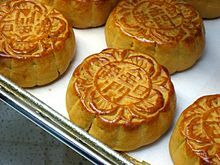 Mid-Autumn Festival holiday from 10th to 13th Sep.
We are out of the office till Next Tuesday, 14th of September 2011 and your email will not be forwarded. Should the matter be important, please contact info@violettejewelry.com in my absence. Happy Middle Autumn's day and good luck to you all!